Checking in here from Chattanooga. Thanks for the many sold-out shows on this winter tour which wraps up soon. One week to go! Absolutely fabulous as always!!! I know it is hard to get to the Twin Cities more often but it would be great if he could!!! If you ever have the opportunity to check out Marty live it will change your life. Most talented singer out there. Simply outstanding virtuoso Sexton knocks it out of the park. One of the few underrated greats of our time. 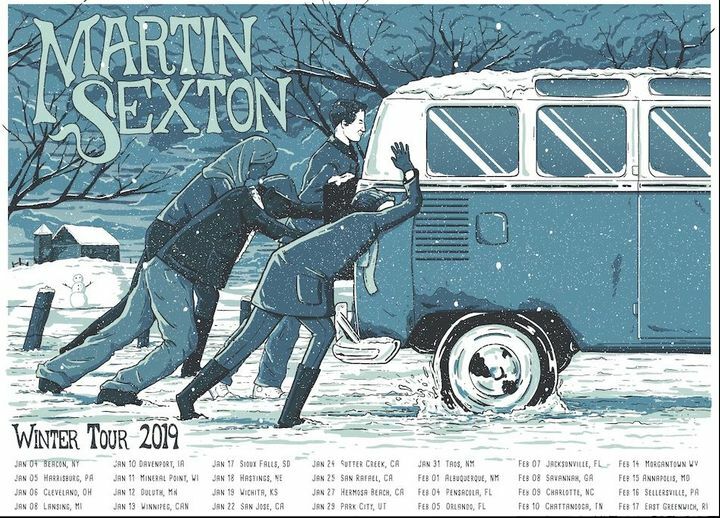 I feel so lucky to be able to see and hear Martin perform in such an intimate venue as The Cabin, in Park City. Absolutely stellar performance. Towne Crier is always an intimate and acoustically beautiful venue, and Sexton shined here. He himself is an instrument, resonant with spirit as well as sound. Every part of me truly enjoyed this...and I gotta have more!